This metal box has a glass front and two plastic chimneys. 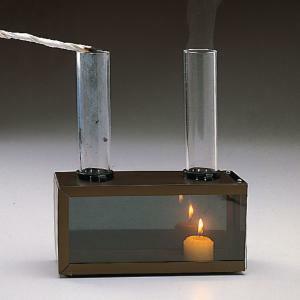 A candle is placed under one of the chimneys causing the convection currents. 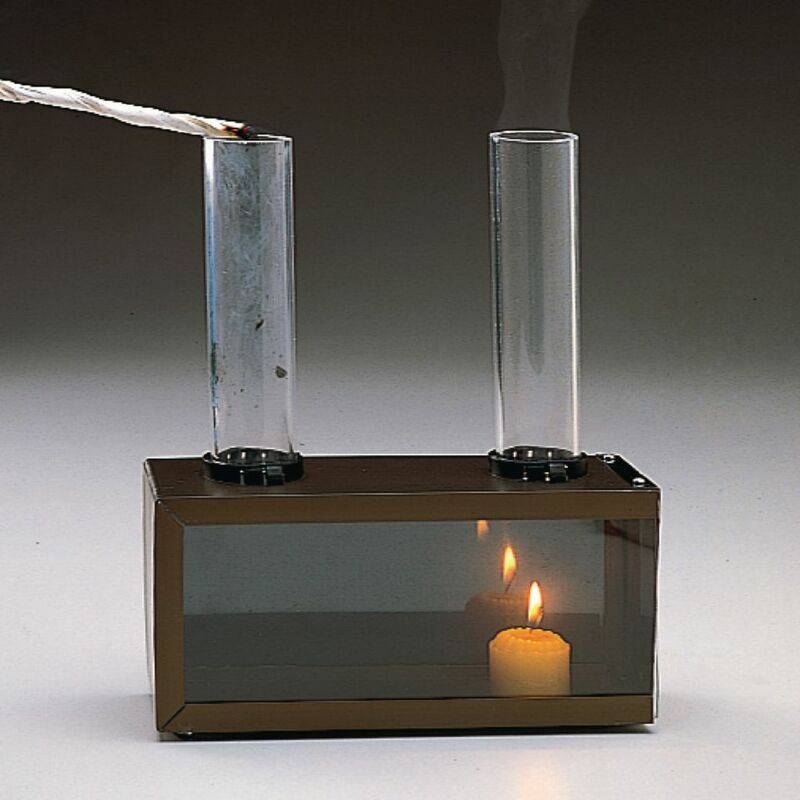 A piece of touch paper, producing smoke, is held at the mouth of the other chimney making the convection current dramatically visible.